Business is highly competitive in Australia. 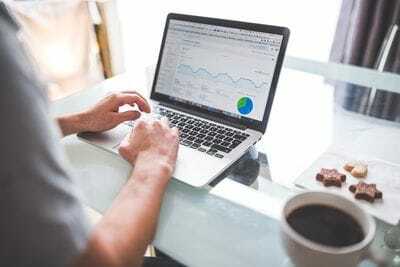 If you have a business that is struggling, OR a business ready for growth OR if you are starting a business OR opening a branch or transferring an existing business to Australia, then the following information is crucial to your success. Our purpose is to help business owners increase sales and profitability. Utilising ethical networks, skilful marketing techniques and innovative technology, we present opportunities for maximum online exposure. Be mentored by successful entrepreneurs who turn problems into sustainable solutions. Being Forewarned is to be Forearmed. James has helped business migrants from many countries successfully start and run a business in Australia. Having lived, worked and owned businesses in South Africa and Australia has given James the insight on what marketing and business strategies work in Australia , James Cagney can offer you his experience, knowledge, advice and services through the Integrity Marketing Network and Integrity Business Network. Make no mistake businesses in Australia operate differently when it comes to marketing, business and products. Do not go the same way as many other immigrants and think they could do it without expert advice and have lost a lot of money, time and effort starting or buying a business in Australia. . Many of them have had to return to their original country because they could not meet the immigration financial criteria for their business visa having lost some if not all their money in business. The Department of immigration has no mercy in this regard. If you cannot meet the criteria you must leave Australia. Should you be interested in how our marketing advice and services could be of benefit to you and your business, then please click - HERE. Successful people know that to create wealth you need to have multiple sources of income. Having only one source of income often does not make you exceedingly wealthy. Your jobs may give you a good living but that's about it. You need to seize the opportunity to make extra money through Internet marketing. James will show you how to do this using time proven products and cutting edge systems. To find out more click >>> HERE. 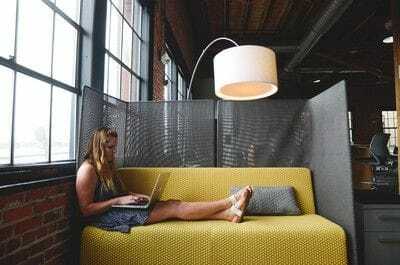 Being a Small to Medium Enterprise (SME) can be very lonely and daunting. You often need people to bounce ideas off . This means more people than your family, friends staff as their advice may not be objective enough. Often you need an outsiders point of view on how to solve business problems and challenges you have, These people can be ruthlessly honest with you as they are not that interested in sparing your feelings. You should also seek out people who have experience in the area you are struggling with. A solution for you is to get advice by joining the Integrity Business Network. You will benefit from the expertise and knowledge of other people who have 'been there and done that'. It's called "Synergy" and it is a force that very few people understand. The power of Synergy make 1+ 1 = 3 and Napoleon Hill, the author of "Think and Grow Rich" calls this the 'Mastermind' principle. Have you found that often the answer to your problem is right in front of you, but you can't see it? The Integrity Business Network does not costs you money to join. All queries and subsequent discussions are done on line and you communicate through an alias so your identity and business is protected. Therefore, the members of the Integrity Business Network can frankly discuss their business problems without risk. What it will cost you is a commitment in time to be active and not only get advice to solve your problems, but help others when you can. This is called the principle of "sowing and reaping" and most millionaires and billionaires in the world know too well how this works. You will also find that the 'teacher' always learns more than the 'student' in these situations because the teacher has to be objective and specific with advice. This will help you apply the same discipline to your own business. Another benefit is you participate in your own time when it suits you. No wasted time traveling to meetings. No waffle. No windbags. No strings attached. Just learning and giving as you grow within the Integrity Business Network. If you want to join click here and we will get you started right away. The billionaire Robert Kiyosaki said "Average people work. Rich people form networks". Get involved in the Integrity Business Network by clicking >>>> JOIN NOW. - more.......give us your suggestions. SUGGESTION . Enjoy a brighter more satisfying future for you and your family by taking this opportunity. President Lyndon B. Johnson said "Yesterday is not ours to recover, but tomorrow is ours to win or to lose". 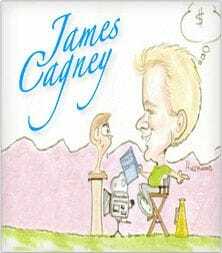 James Cagney invites you to embark on a journey to success, prosperity and abundance. .Contact us to show your interest in becoming an author and click >>>> HERE . If you want insight into what is happening in real estate, immigration society and politics in Australia click>>>> HERE. Some of these articles will be hair-raising and controversial so please take time to go to this section NOW or ignore them at your own peril. 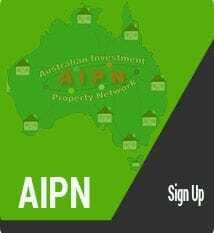 You can also access previous 'Property Updates" for a realistic and practical view on the Australian property market and not opinion from property spreukers. Do it NOW because......procrastination is the biggest cause of failure and "ONE of these days"..... is....."None of these days"......click>>>HERE. Interested in other services we provide? Click on the tabs above or call James Cagney on +61 416 137 64 or Fax +61 7 5657 7094. Please call between 9am to 6pm Australian Eastern Standard Time (AEST). This is not immigration or financial advice. You should not act solely on the basis of the material contained on this website. Changes in legislation occur frequently and without prior notice. Property and business Cycles are subject to frequent change so items herein are general comments only and do not constitute or convey advice PER SE. IRPS Associates Pty Ltd, P O Box 838, Helensvale, Queensland, Australia 4212.